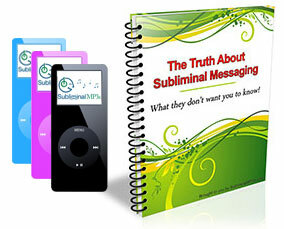 Adopt the eating habits of naturally slim people by reprogramming the way your mind thinks about food with help from this unique subliminal mp3! Do you struggle to eat a balanced diet? Do you eat too much junk food? Do you want to be able to find it easy to eat healthy and not to crave pizzas, burgers, sodas, microwave meals… anymore? If you really want to improve your eating habits and to lose weight for good without counting calories and feeling that you’re lacking junk food ever again, then this is the album for you. Keeping a balanced and healthy diet is the main factor in losing weight, and indeed in keeping a healthy, slim figure.When you want to change your lifestyle and eat more healthily you struggle - you have eaten junk food for so long that it is normal to you - you get strong desires, even cravings for this fatty food if you go without it - eventually you give in and the diet goes out of the window. But what if you could stay strong against these temptations, or what if you were not even tempted at all!? You know it’s somewhere inside you - you just need a little push! You can “teach” your mind to work differently. Our mind learns things by repetition, and the same way it has “learned” that we can’t resist junk food, it can learn that it doesn’t really need it. In fact, you can train your mind to stop even caring for unhealthy meals - to begin to view food as the mind of those who are naturally slim. Resist temptations and eliminate cravings for the fast and junk food. You will think less about junk food, temptation just wont be there, you will notice your cravings slipping away, and in time this will just be natural. You really won’t have the cravings at all. You will make healthier food choices without any effort. Start looking for the healthy meals when you’re hungry. Your mind will get used to perceiving only the healthy foods as an option for you, and it will naturally start looking for them when you're hungry. You'll completely eliminate the option of eating anything unhealthy. Eliminate the struggle because you’ll adopt a new way of viewing food. As your mind accepts the new habit of viewing only the healthy meals as something you should be taking in, you will gradually lose the feeling of struggle - because there will be nothing to crave for. The unhealthy foods will simply dissapear from your mind. Our subliminal messages will rewire your mind to help you react like the first person - you will first of all be less tempted and remain unaffected when you encounter junk foods, and secondly you will have a boost in willpower to stay strong against these temptations. 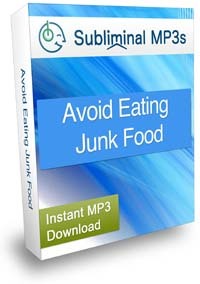 Avoiding junk food and sticking to a healthy, and balanced diet will help you to lose weight more than any other change you could make - get started today with this mind altering mp3! This album is part of our weight loss range - if you haven't already then try our flagship weight loss mp3s.